It is a happy Monday indeed as the Spring weather is finally here! I hope you enjoyed the weekend in the sunshine as much as I did! I wanted to share an update with you on my job. As of today, I am done with orientation and am on my own as a Labor and Delivery Nurse. Ever since starting nursing school I dreamed of being an L&D nurse and I still feel like I have to pinch myself at times. I am living my dreams and it is so amazing! It is crazy how much of an impact a job can have on your life and happiness, I honestly feel like a new person compared to my last position. What I do on a daily basis– One great thing about L&D is that no day is the same and there are so many different areas within L&D that I get to rotate between including OR for c-sections, antepartum (care before delivery), and eventually triage (comparable to an ER for expectant women). People have been asking me what I do during a typical delivery and to be honest it’s hard to sum up since I have to complete a lot of smaller tasks before, during, and after a delivery. For the most part, I am responsible for mom and baby’s safety especially when baby is still inside mom and I am also a cheerleader and huge support system for mom and the family (the amount of times L&D nurses yell “you can do it” and “push, push, push!” is immeasurable). Sometimes L&D is not a happy place– While L&D is overall a much happier place than the unit I worked on before, it can at times be the most devastating. 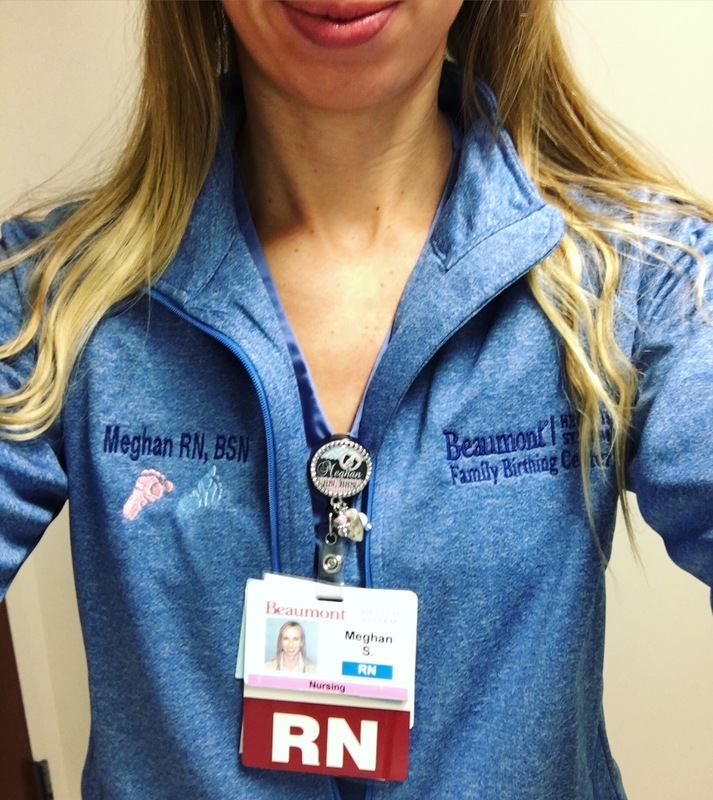 People always say, “Oh, you help delivery babies, what a happy job!” While most of the time that is true as patients are there to bring a new life into the world, when a mom and her family lose a baby the mood on the unit quickly changes. I have experienced a couple losses now and it is so, so sad and challenging to help families through this tough time. However, as always I am there to take the best care of the patient and her family that I can. Keeping that thought in the forefront of my mind definitely helps me to be strong for the patient. My favorite part of L&D– This is a tough one since there are so many aspects of it that I love. I would have to say one of my favorite parts is seeing the mom and family’s reaction when the baby is born (comparable to watching a groom’s face as a bride walks down the aisle). I have seen grandmas jump up and down, dads cry, and the loving look on a mom’s face when she sees her new baby for the first time. The emotions in the room are unreal and I openly admit that I teared up during the first few deliveries I saw. Being apart of such a memorable, incredible time in a family’s life is truly incredible!